For those approaching video editing from a hobbyist’s perspective, Lightworks is a potential revelation. 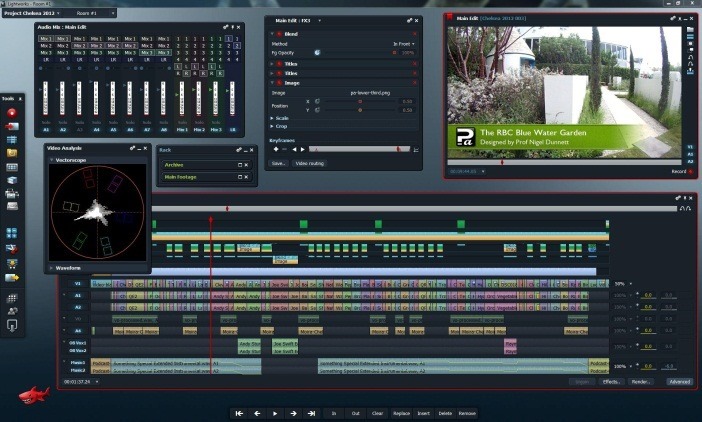 A professional grade video editing software package for FREE; what could be better? It seems too good to be true, but beware! There is no such thing as a free lunch and Lightworks has a steep learning curve for the amateur film maker or videographer. With the proliferation of video recording devices available nowadays, from the ubiquitous mobile phone to your average digital camera, it is easier than ever for you to shoot hours worth of video footage. While you can undoubtedly play this video footage back unedited at any time you wish, a little judicious video editing can transform your plain footage into something all together more interesting. If for no other reason, a small amount of video editing is useful to remove all of the boring bits of your footage so that you can cut straight to the chase. A while a ago I bought a small Point of View (POV) action camera to mount on my wheelchair with the plan of leaving the camera running during days out, documenting events on my travels. 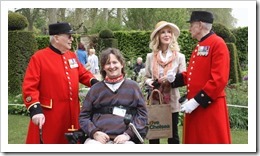 This wasn’t because of any deep-seated voyeuristic tendencies, but rather with the aim of putting short videos of my visits to garden shows, such as the RHS Chelsea Flower show, on my hobby gardening website that I run with a friend. My initial experiments with the camera proved very successful, courtesy of a custom made mounting bracket for my wheelchair that a friend fashioned out of an old pair of handle bars from a child’s bicycle. After a few test runs, and a bit of hacking around with Windows Movie Maker, I launched my first video on an unsuspecting, and probably largely disinterested audience, on YouTube. Nevertheless, I thought I was Stephen Spielberg. The realisation soon began to dawn however that Windows Movie Maker just wasn’t going to cut the mustard. Particularly when it came to editing over four hours of continuous footage that I was likely to acquire during a typical day out. There had to be a better solution. Having a limited income I have to be quite frugal with my pennies, so I hunted around on the internet looking for “free video editing software”. It didn’t take long before I stumbled on Lightworks (still in beta at the time), thinking “this is too good to be true, where’s the catch? 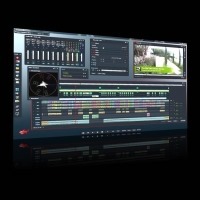 Hollywood-grade video editing software for free; how cool.” Mr Spielberg really would have to watch out. Half an hour later I had Lightworks installed and was raring to go. I opened up the program, created a project and fell at the first hurdle. I was completely perplexed by the complexity of the system. I don’t consider myself an idiot; an electronic engineer by trade, I’m used to picking up software and making it up as I go along: real men don’t read manuals! However, Lightworks isn’t Noddy “drag ‘n’ drop” software, it’s a professional tool with its roots in traditional film-based editing, and clearly requires a different mind-set. Over the next few weeks I kept returning to Lightworks, determined to get the hang of it. I could see its potential; it just seemed to keep eluding me somehow. Fortunately, with sustained perseverance and the help of some very useful videos from the Lightworks website, the penny eventually dropped. I am now so pleased that I persevered with the system instead of taking the easy route and giving up, painful though it was. Remarkably, I now find the system bizarrely easy to use, incredibly powerful and wouldn’t want to be without it, despite its quirks. The takeaway message from my experience is that Lightworks is not for the feint-hearted. However, if you are prepared to persevere with the initial learning curve, you will reach the brow of the hill. While Lightworks may be free, the real investment is in your time and coming to terms with its idiosyncrasies. Once you’ve done this you’ll wonder how you ever managed to achieve anything with the likes of Windows Movie Maker. Lightworks will save you time in the long run. 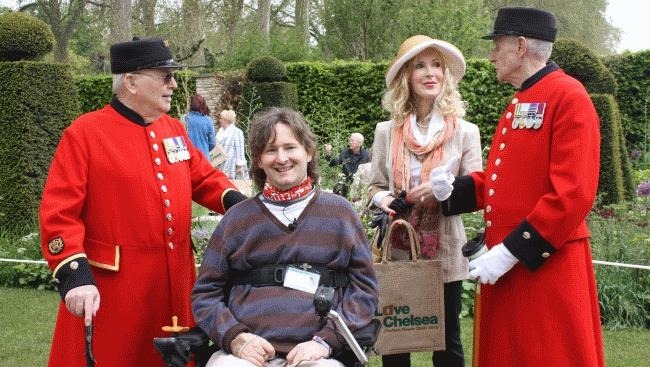 If you want to see what I eventually managed to achieve with my budget wheelchair mounted camera and humble attempts at video editing, then check out my video of the 2012 Chelsea Flower Show below. I now realize that I’ve got a lot to learn in the world of video editing, but I am really enjoying the journey; so any comments or suggestions to help me on my way would be warmly received.